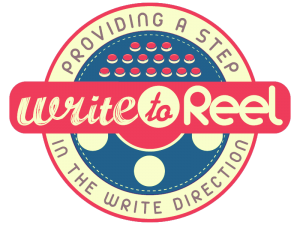 Home Movie Reviews Write to Reals: Mercy Black Film Review! Here we go, ladies and gentlemen, back with another horror film review for you! This time, we have a piece called Mercy Black, which I was planning to rent on Amazon, until it came to Netflix the other day – so I took that as a sign from the Movie Gods that I should watch and review this one for you all this week! The story is very clearly influenced by the real-life Slenderman stabbings (check out the documentary Beware the Slenderman – on HBO) and another similar case that I just heard about: that of Mary Bell. 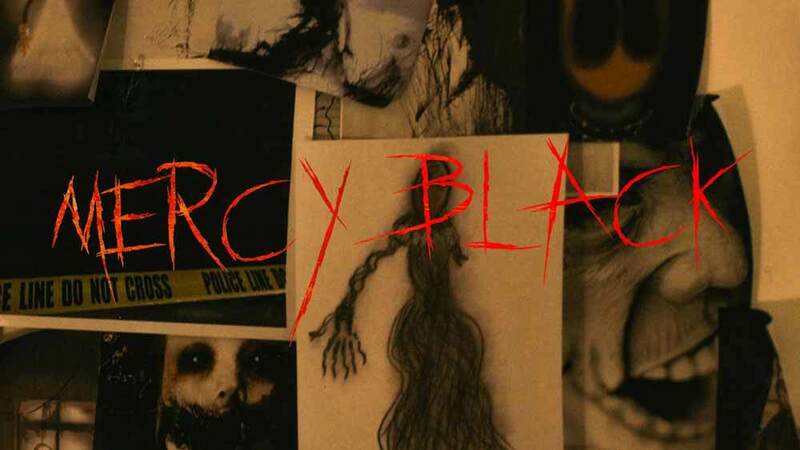 As for Mercy Black, the film is about a girl who stabbed a classmate to appeal to a mythical monster named Mercy Black, only to discover that the creature may be more real than she ever could have dreamed, even 15 years later. Now, I think there is a lot of potential horror to mine with a concept like this, especially as it explores ideas of the loss of innocence, reality vs. fiction, impressionable youth and just what we can be persuaded to do to another human being given the slightest provocation. However, I do worry that, because there are several real-life cases that have occurred, if you take this concept and just make a jump-scare-filled monster-of-the-week picture, it will come off as disrespectful and lazy (here’s looking at you, Slenderman 2018). If done right, this could be a really creepy film and could really delve into the psychology and disturbing implications of an incident like this. I don’t know filmmaker Owen Egerton (writer/director of this piece) too well, but I will give him the benefit of the doubt hope for the best. So, what did I think of Mercy Black? Very cool – this was a Blumhouse Production – I didn’t know that, but that usually is a good sign. It was strange, but nice to see Janeane Garofalo in a supporting role as Marina’s therapist. She’s not given much to do, but she’s there. I also like starting with Marina’s release from the mental hospital – it was an interesting choice to introduce our lead character that way, but I thought it was emotionally effective. The child (Bryce – played by Miles Emmons) is actually likable at the beginning (acting and writing-wise) and not an annoying prop as children are in horror pieces sometimes. The psychosis angle is interesting as well – is Marina crazy or is there a real demon? It was also kind of cool to see Dwight from The Walking Dead (Austin Amelio) in a feature film role as the sister’s creep of a boyfriend. I just have not seen him in anything but The Walking Dead, so it’s nice to see him getting work. This is a really interesting story beat as it gives our lead a real, Earth-shattering reason to want to stop Mercy Black and know the truth once and for all. It also adds some moral ambiguity to our protagonist – she has helped cause numerous deaths and incidents around the world, due to her actions, so she is not the perfect Final Girl we typically get. It’s also cool that everyone in the town knows about Marina getting out and they are not happy about it. This adds to her questioning her sanity, provides a potential real-world plausible explanation for the creepy things she is seeing and adds conflict, which is always a good thing. This is an interesting theme stated and one that I hope is capitalized on in the rest of the film. Another thing I really like about this film is that they keep adding to the tension and conflict – it ratchets up suspense and atmosphere and is very well done in this piece. It is also interesting that Marina only tried to summon Mercy Black because her mother was sick and she wanted to make her better. At least this gives her a reason behind the cruel actions she committed in her past. That’s actually a pretty chilling point that Dwight makes – even though Mercy Black may just be a legend, she is real in the sense that she is inspiring killings and pain all around the world. I like that this is a limited-actor piece. It could have been written with a budget in mind and is an effective piece on its own merits without needing $40 million dollars to pull it off. It’s pretty messed up (but provides a super creepy scene) that Bryce hangs his annoying friend and tries to kill him for Mercy Black. It’s also a pretty elaborate, Saw-level trap that the kid sets up, so props to that up-and-coming psycho. The fact that Mercy Black seems to only affect children reminds me of Season 1 of the horror anthology series Channel Zero – Candle Cove. Which, if you haven’t seen Channel Zero, stop what you are doing right now and seek it out. All seasons are a must for horror fans as they are twisted, gory and chilling all in one. The librarian was super creepy, but I didn’t see the twist of her being the girl that they attacked all of those years ago! There was something off about her showing Bryce all of the Mercy Black stuff on the computer, but I thought she was just really bad at her job. It’s also unusual that Lily (our antagonist) wants to die – she wants to be the offering to Mercy Black. That’s good – it makes her memorable! Holy freaking crap! The ending was a big, creepy mind-f**k.
I think it would have been better if we didn’t cut away before the two girls tried to murder the other one. Seeing it in quick flashbacks is a stylistic choice, but I personally think it would have been more horrifying, effective and attention-catching if we saw the whole scene play out before the intro credits. I do understand that there is more to what actually happened and the filmmaker wanted to reveal it in little pieces as the story went on. Again, it is a stylistic choice, but in my opinion, even showing just a small bit of the crime would have been a really shocking way to start the film. Dwight is a pretty stereotypical creep – he just wants to use Marina to make a profit off of her story and, honestly, was too in-your-face for me. He comes off really aggressive and I feel like we could have done without his character or at least had a toned-down version of it. After they find the dead dog the sister runs off to go confront Dwight on her own. This is a terrible idea for so many reasons, even without a murderous demon/monster/spirit potentially running around town. It just felt forced and unnecessary. I kind of wish Rebecca – the other girl who was involved in the stabbing – was more of a character. Then it could have been a really interesting exploration of a real-life monster and someone who could manipulate people to do whatever it is that they want (as this character supposedly was and one of the girls involved in the Slenderman incident is alleged to have been). It is pretty creepy when she crawls out of her wheelchair to try to murder Marina, however. Marina going to a dark, isolated fallout shelter by herself to try to remember what happened in the past is creepy, but super ill-advised. It is weird that the therapist knew that Lily (the girl they attacked all those years ago) was still alive and that she might be around somewhere. That seems like relevant information that should have been shared before/when Marina was released. I also like that it becomes a crime/slasher piece at the end, but I really didn’t need the forced supernatural aspect – although it could be interpreted as Marina’s dying imagination which I like and that’s how I am going to look at it. WATCH IT! This was a great surprise – a well-done chiller that explores the nature of reality, past sins and truth while effectively bringing the horror. This is what Blumhouse is great at – taking a high concept and capitalizing on it on with a minimal budget. Check it out on Netflix today! Previous articleThe Beach Bum – Self-Indulged Nonsense. Next articleUS – Does Horrible Ending mean Horrible Film? Ready Player One – Who is the film’s target audience?